Are you wondering if you can keep endlers livebearers with bettas? If you have had your betta for a while you may be interested in what you can keep with him. However, as you know, bettas can cause trouble for a lot of tank mates. Keep reading to find out how to keep bettas with endlers livebearers, and the best ways to make sure they coexist peacefully. 1 Can You Keep Endlers Livebearers With Bettas? Can You Keep Endlers Livebearers With Bettas? Because their habitats are similar and they need similar water parameters, it’s entirely possible to keep endlers livebearers with bettas. However, you should note that the main deciding factor is always going to be the temperament of your betta. But, many betta owners do keep bettas and endlers livebearers together without a problem, and they can often be some of the best tank mates for your betta! Here are a couple of reasons bettas and endlers livebearers can often live together. Did you know that endlers livebearers and guppies are closely related? In fact, they’re so closely related scientists aren’t sure if they’re two distinct species or just one. They can even interbreed without producing infertile offspring. However, the big difference between endlers livebearers and guppies is that the former isn’t flashy. They don’t have long flowing tails, and their coloring isn’t extremely distinct. Bright colors and flowing tails are big threat signals to bettas, so it’s good endlers livebearers don’t have them! Because they don’t have flowing tails they’re a lot faster than their counterparts. They could easily outswim most bettas (except maybe plakat bettas. This means that even if your betta does want to take a bite out of one of them the chances of him catching them are slim. And in addition to being fast, you can also add lots of hiding places for them, so they don’t have to be on alert all the time. If you want to keep bettas with endlers livebearers there are a few things you can do to make sure they live peacefully. 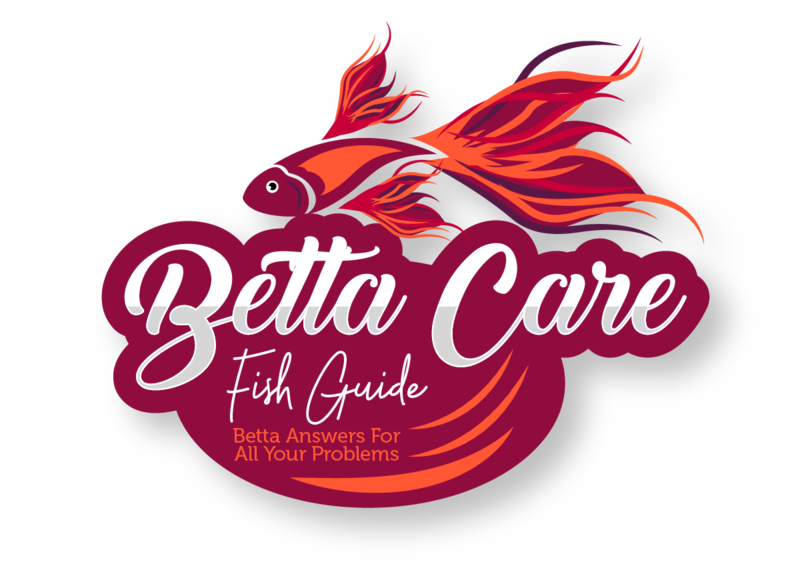 Once again, while the biggest factor is going to be the temperament of your betta, it doesn’t mean you can’t. Here are a few of the best actions you can take to make your betta and endlers livebearers live together. Bettas can often become more aggressive when they’ve been in a tank for a while and new additions are added. At this point, they think the tank is their territory and they’ll see any other fish as an intruder. One of the ways you can stop this from happening is by adding livebearers first. However, the chances are you already have a betta and you’re looking for tank mates. If this is the case, not all hope is lost. If you already have a betta, remove him from the tank, change the decorations around then add him back. At this point, he’ll feel like he’s in a completely new environment and won’t have a territory yet. At the same time as you add your betta, add your endlers livebearers to the tank as well. Your betta is less likely to be aggressive towards him because he won’t feel like they’re invading his territory. This is another great tactic. If you don’t have a betta yet, then add endlers livebearers to your tank first. Once the tank can handle another fish, add a young betta. He’ll be less likely to be aggressive and he’ll grow up being used to the endlers livebearers. While this isn’t the ideal setup, you can always buy a tank divider if your tank is big enough. Normally you can get them for tanks that are 10 gallons or bigger. And if your betta really isn’t taking to your endlers livebearers then this can be a great way to solve the problem, that doesn’t involve you trying to take the fish back to the shop, or giving them away. If you’re going to keep endlers livebearers with bettas then tank setup is going to be important. Not only is it going to make it safer for all fish, but it will also make them feel more at home. Luckily both fish like a similar habitat, so you won’t need to worry about making drastic changes to your tank. First things first is plant life. Bettas love a lot of plants and so do endlers guppies. It gives both fish lots of places to hide making them feel safe. If you’re going to add plants then you should try using plants with small leaves that can reach the surface of the water. If you’re not sure what plants to get anacharis and hornwort are some great choices. However, endlers livebearers also love plants that float on the surface. Your betta will like them too but nowhere near as much as endlers! You should be aware that these floating plants provide the perfect place for fry to hide in though. So if you want your betta to eat them all, you may want to avoid adding them. As well as lots of plants you should also make sure the current in the tank isn’t too strong. Bettas aren’t the strongest swimmers in the world so they don’t like a strong current. And luckily endlers livebearers prefer water that is still as well! One major thing you need to make sure you get right when adding fish together is the parameters. If you add fish into an environment that doesn’t cater for them, then they probably won’t survive for very long. But as you can guess, bettas and endlers livebearers need similar parameters. In fact, their parameters are extremely close together. Endlers livebearers are going to need a pH level between 6.7 – 8.5 which as you can see means they can survive in a lot of conditions. However, bettas prefer a pH level that is as close to 7 as possible. When it comes to tank size endlers livebearers can live in tanks that are 5 gallons or bigger. However, because you’re putting them with a betta you should make sure the tank is at least 10 gallons in size. This will give your fish plenty of space and reduce the chance of hostility. Here are the best 10 gallon tanks for bettas. If you’re sure that your betta isn’t aggressive then you may be wondering what you can expect from endlers livebearers. Well, they are one of the most peaceful fish you can put in with your betta. They’re rarely aggressive and when they are being aggressive it’s normally to each other. And this rarely happens. One thing you should be aware of is that you shouldn’t ever keep multiple males with a female. If you do this, they will all constantly try to breed with her. Which will cause a lot of undue stress and could potentially cause the males to become aggressive to each other. 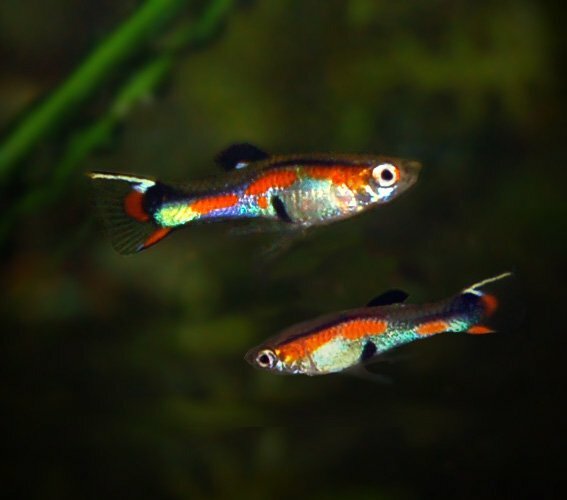 As a rule of thumb, you should be keeping them endlers livebearers in a ratio of 1:2 or 1:3 males to females. This will stop the chance of any aggression, and the females won’t have too much pressure. One interesting thing to note is that you shouldn’t have intense light in your tank. For some reason, extended periods of bright light are going to cause your endlers livebearers to become pale and lose a lot of their coloring. It’s not just lighting that can affect your endlers livebearers coloring’s either. If the temperature or quality of the water changes rapidly the same thing is likely to happen. And one last interesting thing to note is that the females tend to be more aggressive than the males. Females will often seek out and defend their own territory where males don’t exhibit this behavior as often. To combat this aggressiveness you should have at least 3 females. This will help a pecking order become established instead of a few fish just bullying one. If you’re going to add endlers livebearers to your tank you should know that they only live for about 2-3 years. This is a lot shorter than bettas who can live up to 5 years. You’ll also notice that the females often die a lot younger than the males. Unfortunately, like a lot of livebearing fish, constantly having fry is going to take a toll on their body and lifespan. This is something to consider before buying females. However, once you add endlers livebearers into your tank you may never need to buy more. Because they’re always reproducing, the chances are that eventually some of them will grow to adulthood. So they’ll just end up replacing themselves. Before you pick up your endlers livebearer you’ll want to make sure you’re purchasing the correct fish. After all they are closely related to guppies and they can sometimes be mistaken for a female guppy. 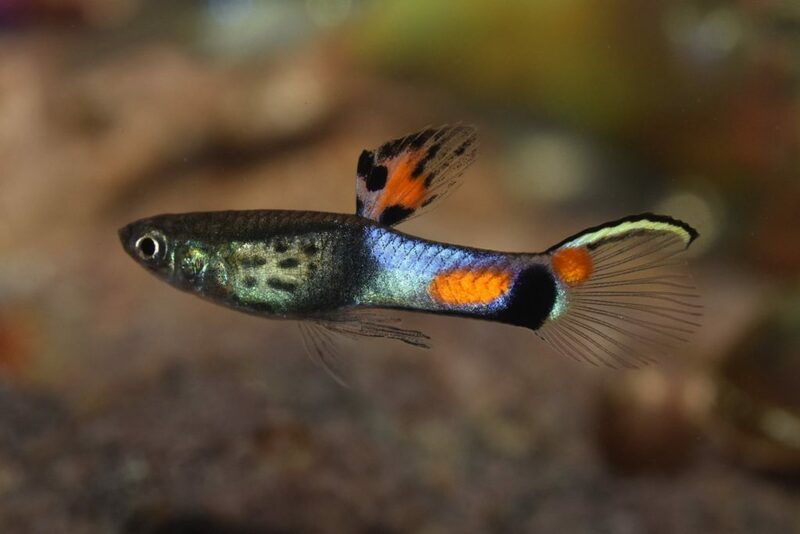 You can expect a male endlers livebearer to grow up to 1 inch in size and the females to grow a little bit bigger, roughly 1.4 inches. The females look a little bit more plain than the males, which you’ll notice have a lot more vibrant colors. You’ll also notice that a lot of endlers tails appear to be transparent in the middle.This is one of the things that really separates endlers livebearers from guppies and makes them so interesting! Your betta and endlers livebearers are going to need different food in order to get the nutrition they need. Bettas are carnivores, so they’ll require lots of meat whether it be freeze-dried, frozen or live. Daphnia, brine shrimp and mosquito larvae are all great choices. However, endlers livebearers are omnivores. So you need to make sure you’re feeding them a mixture of plants and meat. While you can feed your endlers livebearers the same food you feed your betta, you’ll also have to add some plant-based sustenance as well. Zoo Med Spirulina and Hikari Fancy Guppy Food are both great choices. And if you didn’t know endlers livebearers are also great algae eaters. While they won’t remove everything in your tank they are going to give it a helping hand. Helping it look cleaner as well as reducing any build up of algae. You can also feed your endlers blanched vegetables as well. Blanched zucchini and cucumber are great choices as well as deskinned peas. Deskinned peas also make a great laxative for your betta as well if you notice he’s suffering from constipation or swim bladder disease. If you have ended livebearers in your tank they’re going to breed. In fact, the only real conditions they need to breed is water that’s the right temperature. Once this happens you can expect to give birth just over every 3 weeks. This is normally a good thing because it will give your betta plenty of live food to chase and eat. However, remember if any of them grow to adulthood it could affect the bioload. To decrease the chances of breeding it may be better to opt for an all female tank. While they may be pregnant when you first add them to your tank, over time they should stop having babies. As you can see endlers livebearers and bettas can make excellent tank mates if their temperaments are good! Here are some of the most important things to remember to ensure both fish are going to be happy. Endlers livebearers make good tank mates for bettas because they aren’t flashy and they can swim fast. If you want to have the best chance of your betta not being aggressive you should introduce the endlers livebearers to the tank first. If you already have a betta then you should take him out of the tank, rearrange it, add the endlers then add your betta. You can also try adding a baby betta with endlers or worst case scenario by a tank divider. When setting up the tank make sure you have lots of live plants such as hornwort and anacharis, and that there are also lots of floating plants. If you’re going to keep bettas and livebearers in a tank together you should make sure the tank is at least 10 gallons. Female endlers livebearers typically give birth to fry every 3 weeks. When you’re feeding your endlers livebearers make sure they’re getting a mix of plant-based food and meat-based food. Bettas only need meat. If you liked this article make sure you check out the rest of the website!